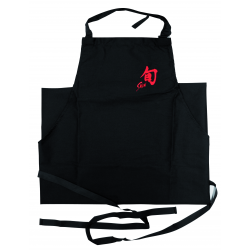 Recommended for Kai ShunTM and all other branded professional knivesMaterial: Synthetic LeatherShun ..
DescriptionThis Kai Shun knife bag is ideal for (home) chefs who take their knives on the road to co..
Kai Shun Polo Shirt available in Small, Medium & Large sizePackage weight: 0.3 kgPackage dimensi..
Kai Shun Men Polo Shirt available in Medium, Large, Extra Large and Extra Extra Large size.Package w.. Pure Komachi Black fine grater and zester, with Ishimatsi(jap. checkered) blade pattern. Suitable fo.. Pure Komachi Green Ribbon grater, with Kanokoshibori (jap. dappled white spotted) blade pattern. Sui.. Pure Komachi Rink Julienne slicer, with Yabanemonyo (jap. arrow feather) blade pattern. Suitabl..
DescriptionRefined fishbone tweezers with a great finish.SpecificationsBrand: KaiSeries: ShunLength:..